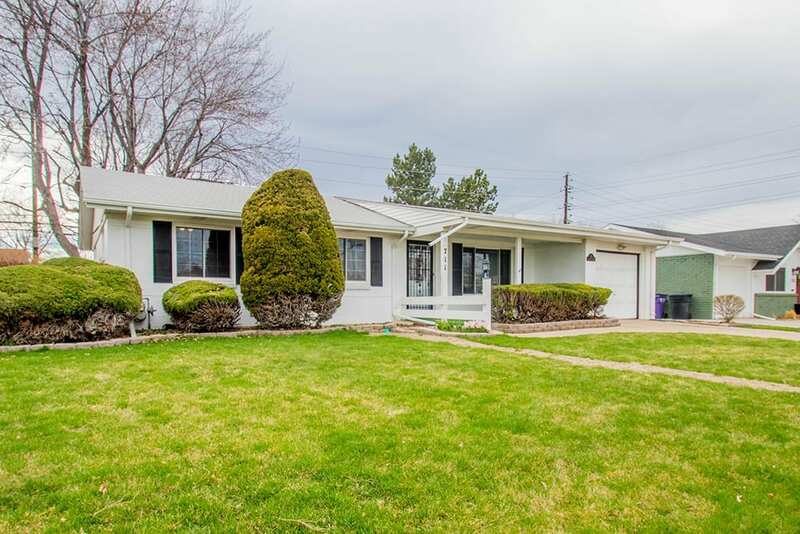 Charming brick ranch with four bedrooms, three bathrooms and inviting curb appeal. This classic beauty is centrally located with easy access to Cherry Creek, downtown Denver, several parks and miles of walking trails. Accommodating and spacious, the main level offers a sun-filled living room and dining room, both with hardwood floors, a functional kitchen, an office with built-in cabinets, and a cozy sunroom with wall-to-windows that frame the picturesque backyard. Also on the main level are three bedrooms, including the master with en suite bath, and a full hallway bathroom. Plenty of room to spread out in the full finished basement, comprised of a large rec room, flex space, ample storage, a three-quarter bathroom and a non-conforming bedroom complete with a murphy bed and built-in workspace, making this a great guest space or office! Enjoy the outdoors in the park-like backyard, featuring lush grass and mature, well-kept landscaping. Furnace, a/c and windows all replaced in 2012 and new water heater installed in 2018. Close to local schools and abundant dining and shopping options, this wonderful home is a great find!